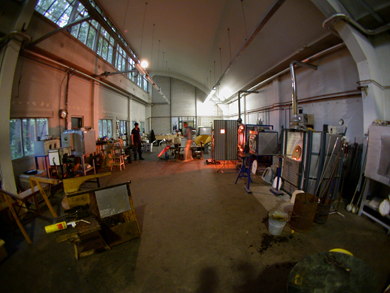 The VRIJ GLAS studios are divided over two industrial hangars of 1000 m2 in total and are equipped with six pot furnaces, several gloryholes, annealers, kilns and other related equipment. 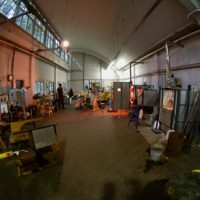 Besides providing a wide group of established artists with knowledge and infrastructure VRIJ GLAS educates a broad audience, teaches historical glass making techniques, restores old architectural glass, and develops new uses for glass in visual arts, design and architecture. VRIJ GLAS is also a valued advisor and supplier of know-how including equipment for glass industry, research institutes, academies, museums, and individual glass studios on six continents. Our thriving, inspiring hot glass facility is located by the North Sea Canal, our mission is to ‘live with passion and make the most exciting glass dreams come true’. Sounds like the kind of place where you’d love to make glass? Contact Durk Valkema, valkema[at]vrijglas.nl for everything you always wanted to know about glass. 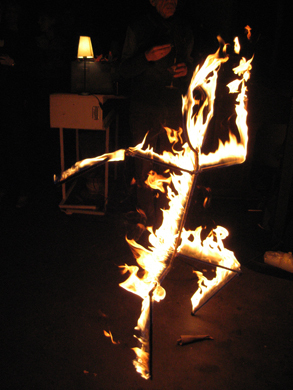 Huge studio, ideal for ambitious artists, is located in the Amsterdam harbor area. The studio is very private, with lots of space for your projects. Large meeting area, planning area, gallery, professional kitchen, WiFi. Unlike so many glass studios, this has lots of room and privacy. Control your own environment, spread out, experiment and enjoy the unique space. 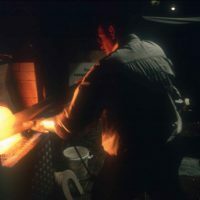 Full day with hot glass is 550 euro, if the furnace is used the following day by the same team using the same melt the cost for that day is reduced to 375 euro, 60 kg of clear glass is included in the price, for additional glass a surplus will be charged. Full colour melts of 50 kg glass available at 780 and includes a 12 hour annealing cycle, in a variety of possible annealers. Many other arrangements and longer rentals are possible. 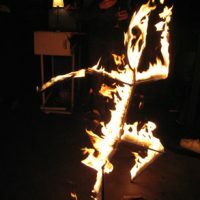 We also have casting, coldworking, and kilnworking possibilities. And our technical expert Durk Valkema is available to assist you. You can make amazing things here! 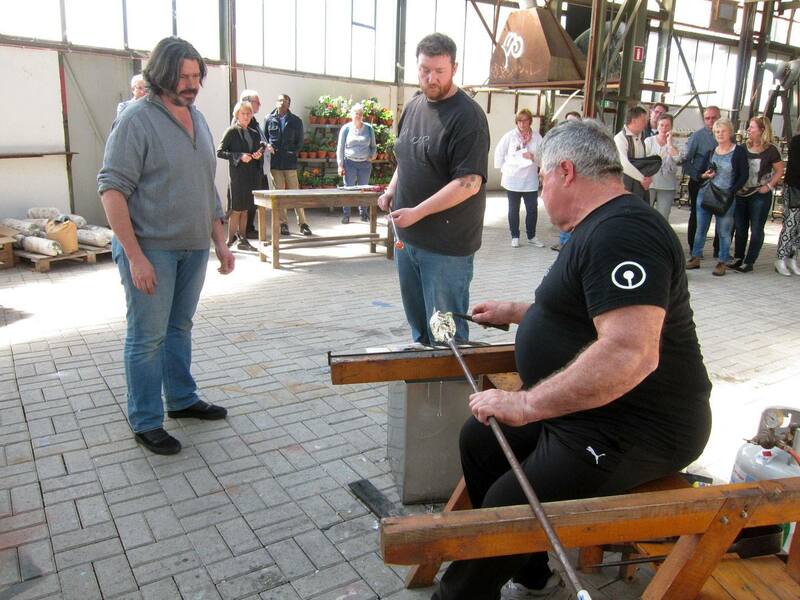 Our staff is also available for private lessons Glassblowing for Beginners and Coldworking for Beginners. 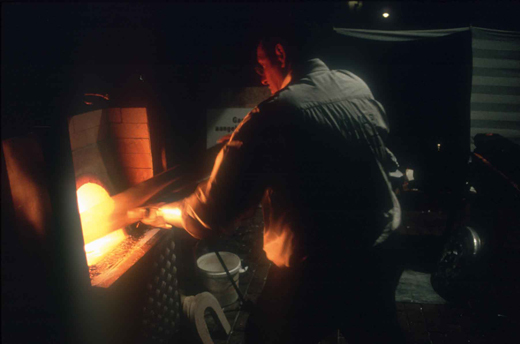 If you want to blow glass, or learn how to cut glass, we can teach you.